Aqmarina Andira, or Ina, was a delegate at CAUSINDY 2015. She has always considered both Indonesia and Australia as her home, and is currently working for a joint venture technology company owned by Indonesian and Australian companies. She graduated from universities in both countries, and even has families living in these two neighboring nations. Both Indonesia and Australia played an important role in shaping who she is today, professionally and personally, and that became the reason why she applied for CAUSINDY in 2015. She had learned and wanted to continue to learn from both countries, and at the same time wished to contribute in strengthening the bilateral relationship between Indonesia and Australia through what she loves most – stories. Other than her professional work as a Corporate Engagement Specialist at Telkomtelstra, she is also the Co-Founder and the Director of Rumah Cerita (House of Stories), a not-for-profit organization with a focus on empowering Indonesian children and youth through creative writing, and improving standards of comprehension skills and reading interest that are still very low in Indonesian society. Rumah Cerita was inspired by a creative writing centre in Australia called Sydney Story Factory. She was taking an internship as an Editor and Graphic Designer at the centre during her study at the University of Sydney for her Masters degree in Publishing. She became inspired by how powerful creative writing and stories are for youth to develop their critical thinking, social awareness, compassion, creativity and confidence. Learning from that experience and knowing how Indonesia’s status as a nation with a low numbers of readers, she, together with her two close friends, decided to initiate Rumah Cerita. 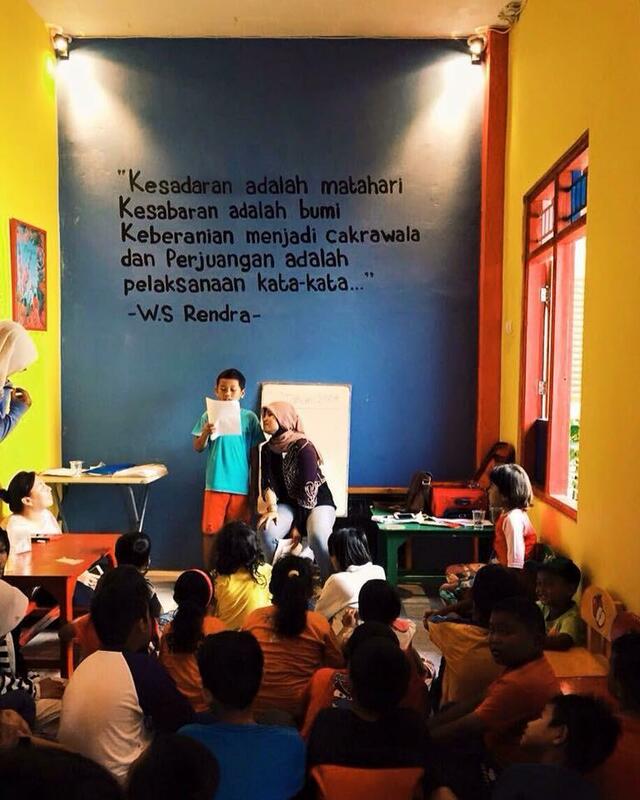 When Ina was selected as one of the 20 Indonesian delegates for CAUSINDY 2015 in Darwin, Rumah Cerita was still a small community with less than 20 volunteers who provided creative writing classes for youth. With an Industrial Engineering background from the Institut Teknologi Bandung, she, like her friends, did not have experience in education, literacy and creative industries. At first, they could only rely on their courage, passion and faith in the project. For Ina, CAUSINDY was indeed one of the first doors that opened for Rumah Cerita, as it led the organisation to many other opportunities. CAUSINDY allowed Ina to meet many brilliant people from Indonesia and Australia who have sincerely helped and supported her in growing the organization. Her professional and personal networks grew significantly since joining CAUSINDY. She was able to obtain information regarding opportunities for collaboration projects, grants, professional fellowships and much more. It was a highly valuable experience and she says she is very grateful. Having acknowledgement and support from CAUSINDY, she received an increased confidence and excitement with what she was doing, both in her professional career as well as within the non-profit organization. At Telkomtelstra, she was selected as a member of the Diversity and Inclusion Council, in which she became the action co-lead in Brilliant Connected Women network throughout Telstra Global, led their Corporate Social Responsibility initiatives, managed the first Indonesian Women’s Forum, and initiated their collaboration with KOMNAS Perempuan (The National Commission of Violence Against Women) to help prevent and reduce cases of violence against women in Indonesia. 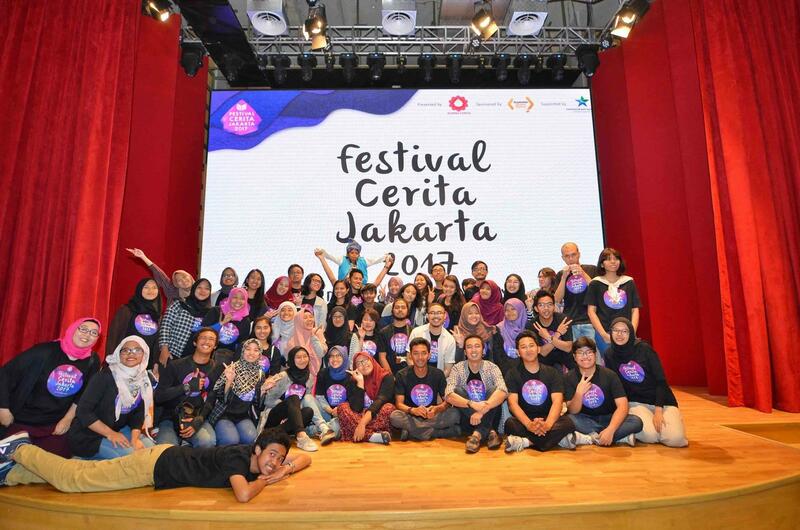 With Rumah Cerita, Ina and her team have successfully published their first anthology book, sent two of their students to Japan to learn and write about technology and innovation, led the children’s program in the ASEAN Literary Festival 2016, managed the National Jamboree of Literature with more than 2,500 youth participating, and been granted by Australia Awards in Indonesia and supported by National Library of Indonesia to conduct Festival Cerita Jakarta (Jakarta Stories Festival) – the first creative writing and literary festival for children and youth in Indonesia. Not only that, she was also honoured to be recently selected as one of the professional fellows for the Young South East Asia Leaders Initiatives (YSEALI) in spring 2018, providing the opportunity for a six-week fellowship program as part of the Deloitte Global Millennial Leadership Program in Arlington, Virginia, USA. Ina’s CAUSINDY experience was a highly valuable and enjoyable experience that afforded her an incredible network of contacts. She encourages all young professionals in Indonesia and Australia to apply for the program in coming years. CAUSINDY provides an opportunity for everyone involved to connect with brilliant people and other future leaders, all of which helps them grow professionally and personally.